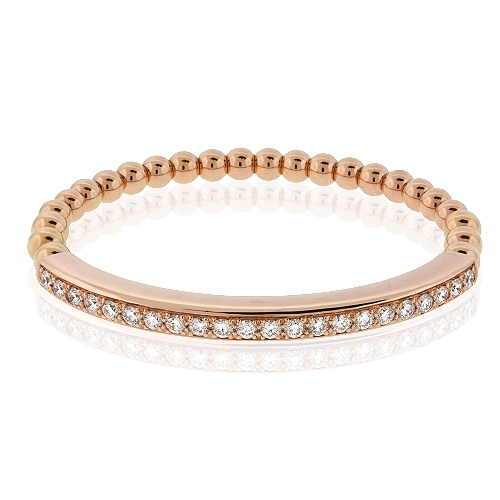 Diamond stretch bracelet with pave set brilliant diamonds mounted in 14kt rose gold. Diamonds approx. 1.90ct.